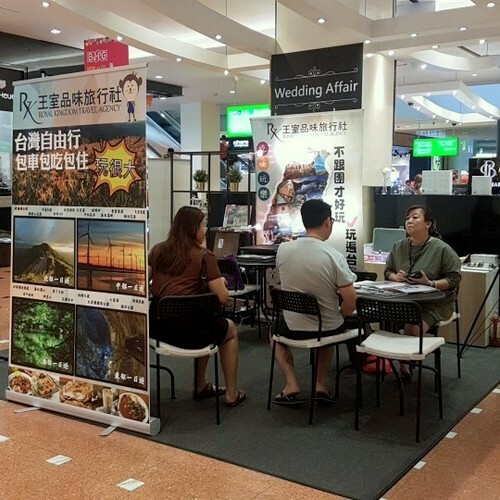 Wedding planning company Wedding Affair operates within Singapore’s Jurong Point shopping centre, at 1 Jurong West Central 2. Wedding Affair offers a wide range of services that are dedicated to helping you and your partner have a wedding of your dreams. These services include popular Pre-Wedding Photography Packages as well as Private Tours Packages to Taiwan. Jurong Point, where the wedding planning service is located, is Singapore’s largest suburban mall, featuring more than 400 food & beverage and retail outlets. In addition to anchor tenants such as FairPrice Xtra, Golden Village, Courts, and Harvey Norman, the mall has three food courts (Kopitiam, Cantine, Malaysia Boleh) and a number of themed precincts.